During this spring semester at school I decided to take Yoga as one of my last required electives! It was such a great decision and I've been wanting to share my love for yoga here on my blog for a while now. Having an awesome Yoga teacher at school has for sure helped me keep my interest. I don't know about ya'll but I've wanted to try to learn something new in the past and having a horrible teacher just ruins it! While taking this class I've been learning about the philosophy of yoga, Sanskrit and just how many diverse types of yoga there are! There's a type of yoga for everyone! I recently enjoyed my first local yoga class at YAM studio with one of my close friends, Mrs. Ricketts. She was one of my favorite teachers in high school and I'm so fortunate we have kept in touch over the years! 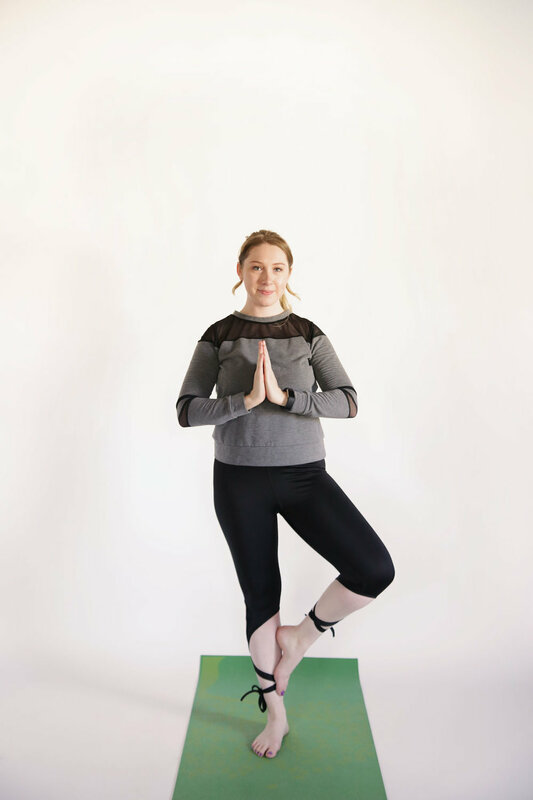 Whenever we first entered the studio I quickly realized it was a hot yoga session, which made me a little nervous because I usually don't do well within hot or humid environments, but I would totally recommend hot yoga at this studio. The temperature in the room seemed to help loosen muscles and be able to hold stretches at a more intense level and length of time. Plus you have that desiered "yoga glow" when you finish! I debated whether or not to post this photo because I wasn't sure if this plank/push-up has the correct form, but I had to post this to explain how proud I am of myself. All throughout middle school and high school gym classes coaches would require us students to be in plank/ push-up position. Not only could I not do a push-up but I coudn't even hold myself in this position without shaking and feeling embarrassed. 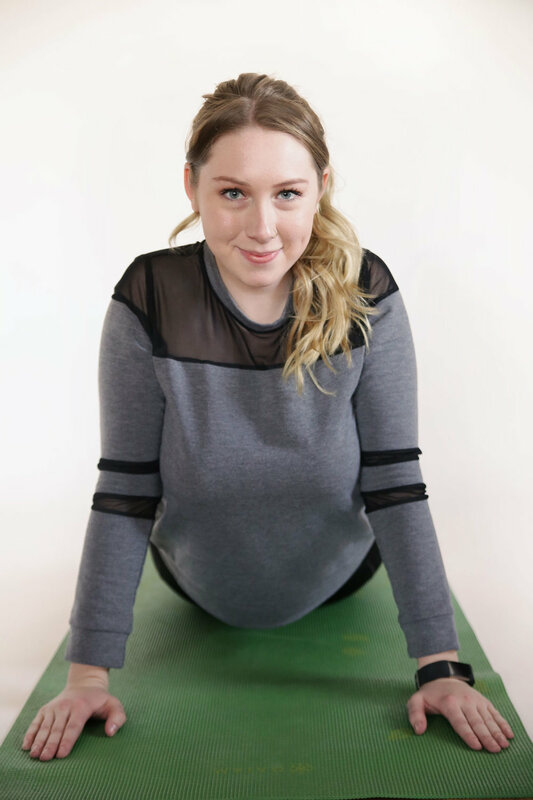 But during this yoga class at school, I have learned so much about my body and I am proud that I have built the strength and understanding of how to hold myself in a push-up position without struggling so much or being in pain. It's as if something my yoga teacher said that just made me understand how to change my position to make this possible for me. So to any of you reading who have said you can't do this or that related to fitness within your youth, I say YOU CAN. Stay determined and hopeful for that day your mind and your body will click together. Or maybe you'll find a teacher or coach that will finally explain something in the way you've been needing to hear it! Also, how cool are these leggings?? I love them! I'm pretty sure these are Barre leggings, but I feel like I can slay any workout in them! ;) I purchased them from Jade's Poshmark shop. You can visit and view her unique finds -> Here! I got this top from TJ Maxx about a year ago! It's perfect for these chilly transition days we have had while moving into the spring season. Looks good with jeans too! Can't enter a workout with out some Always More encouragement! I explained the inspiration behind Always More in my previous blog post if you wanna read about it!